There’s so much that goes on at Inbound (the amazing HubSpot conference) that it’s difficult to even scratch the surface of all the different ideas and updates. That said there were a few key items from Inbound 2015 that jumped out at me that I need to think through for XEN and our clients. This post is intended as a summary for our clients, and includes my subset of top key items. It’s not exhaustive of course, it’s just the top few that I think are useful to discuss. Everything that the good agencies are doing these days is results driven. To the point of ruthlessness. Usually the results are related to generating leads. And it means that agencies are hired and fired solely on results. Sounds ideal right? Well, yes and no. It means that when clients request anything it is always considered through the lens of results. Which can lead to some interesting conflicts when customers request changes they’d like, but that don’t fit in with an impact to results. Overall it’s a good thing, and for Australian agencies it’s a bit of a wake up call. From my discussions with many agencies and companies, there’s too little focus on results, and too much focus on activity. Our agency included. Growth-driven design is the latest buzzword getting flogged to death. But, don’t let that put you off, this is the future of most (if not all) web development projects. The term is almost mainstream in the US, but almost unheard of here in Australia. The principle is simple: to many, building a new web site is considered complete once it is launched. This has been the traditional approach. Growth-driven design assumes that launching the site is in many ways the start of the ‘project’, and what comes after is the on-going, continual, incremental improvement of site performance (usually focussed on lead generations and conversion). We’ve written a blog post about growth-driven design that goes through the concept in detail. Personas are nothing new of course, but in many companies they are still not used, or considered an afterthought (‘we’ll work out our personas once the site is live and I have some spare time…’). Another item often left in the ‘yes, we know it is important, but we’ll get to that later’ basket. The better agencies are working closely with companies to get lead scoring in place early in the piece, so that as the database grows the lead scoring becomes increasingly useful. This one is often not even discussed with clients. It relates to understanding what the value of a lead is to the business. The value of lead obviously varies widely based on industry and location, and as two examples we have clients where to one the value of a lead is less than a dollar, and to others each lead is worth more than $600. The benefit of calculating lead value (or even just an estimate) is that it guides all other tactics – since the budgets allocated (and thus lead costs) will need to be less than the lead value. Perhaps the biggest eye-opener to me was how much effort companies (and their agencies) are putting into content creation. In the US the days of a $200 blog post are fast diminishing. Companies are focussing on ‘remarkable’ content – high quality, deeply engaging, highly trusted and shareable content. The content is across multiple formats (ie often including text, video, infographics, interactive elements in single pieces) and are priced in the thousands of dollars per item, not hundreds. In Australia we can still get some cut through with the general blog posts, but the clear takeaway for me from seeing what the US agencies are doing is that we need to lift our game. Good content is expensive, and needs careful planning. Content creation is the start of the content marketing process. Content promotion is the bit most people are under-resourcing. The bigger agencies are often allocating a 1:3 ratio of content creation to content promotion. That is, for every hour they spend creating content, they spend 3 hours promoting it via various channels and relationships. HubSpot focusses on Google as the first point of call for integration. So if you use Google Apps for your email you are well supported. Google Drive for docs? Ditto. Google Chrome for your browser. etc. What this means for some companies (eg if they are Exchange based) is that there may be value in using a Google Apps account for some of the sales team – especially if they are focussed on outreach and prospecting. Consider having a separate domain, used for Google Apps, and integrating that with the HubSpot CRM and Sidekick tools. Reporting Add-on – an advanced reporting/dashboard tool (this is an additional cost: USD 200 per month). I’ve just started playing with the reporting add-on and it is pretty useful. But it should be part of the core product in my opinion, charging for it leaves a bad taste in my mouth. I’m hoping they reconsider this pricing approach and make it a standard product inclusion in the future. HubSpot is very much focussed on removing the sales-marketing divide. This is clear in their HubSpot CRM offering (strategy) as well as how focussed they are on providing sales guidance, mentoring and add-on services. Something I’ve been ‘aware of’ shall we say, is the rapid increase in charging from HubSpot. Consider their pricing from just two years ago, compared to today. There’s nothing wrong with this of course – they’re a business, they’ve now gone public, and unlike many tech companies they are actually focussed on being profitable! But to myself and some of my clients, they are moving from being a comfortable fit financially, to being a stretch. Chatting with HubSpot account managers about this, they still make it clear that HubSpot is an SMB focussed company (that is after all the bulk of their customer base). But they aren’t shy of testing the boundaries when it comes to pricing. 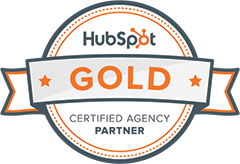 If you are a HubSpot customer now, then you are locked in at current pricing. If you’re not yet a customer, be aware that the future pricing (and thus your ability to sign on) may change rapidly. They are the global leader in marketing automation. So they have some weight to use now. The following are some of the channels that I see US agencies and companies utilising a lot (ie this isn’t a list of all the main channels). Perhaps the biggest shift is how much AdWords budget is getting shifted to Facebook Advertising. Facebook has long been considered not a good fit for B2B companies, but the results being achieved by the big agencies conclusively discount that now. Another point to note is that the content being advertised is often informational (ie not promotional). For top of the funnel advertising, Google AdWords is still often pointing to sales pages. But for Facebook and LinkedIn the advertising is often pointing to content that drives engagement first. Co-branding relationships – building relationships with other companies, brands and agencies is time-consuming. And thus, often unachievable. But it’s the future of content promotion – which is why the big US agencies have, or are building, outreach relationship teams. Note: again, the above is just a subset (eg it doesn’t include Pinterest, Instagram, Outbrain, AdRoll, Perfect Audience, and many other channels) – just noting a few that are getting particular focus. The US is still years ahead of Australia. And I’m not exactly sure why… it’s the internet after all, so it’s not as though there’s a technical hurdle here that keeps Australian agencies and companies in the dark. But there’s a bit of a reckoning coming. If some of the US agencies I saw at Inbound were to offer their services in Australia I think they’d dominate – a lot of Australian agencies would be caught off-guard. For Australian agencies this is a wake up call (and one that we’re responding to right away here at XEN). The good thing for Australian companies is that the level of service and results they’ll get from agencies is going dramatically increase in the coming years. Costs and investment in marketing will increase dramatically as well, but the return will be well worth it. And yes, registrations for Inbound 2016 have already opened. This entry was posted in HubSpot, Marketing Manager, Strategy and tagged inbound 2015. One other things about Inbound that was excellent – Amy Schumer. Soooo good!